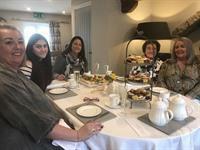 Come and enjoy afternoon tea at The Grousemoor in our beautiful reception and dining area, with log burner, beams, licensed bar and contemporary décor. We are open for afternoon tea on Friday, Saturday and Sunday. We can also cater for groups on other days of week too. 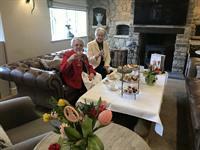 Afternoon tea is an unhurried occasion at The Grousemoor with tea and coffee pot refills served to your table. Booking is essential, call 01978 802680. 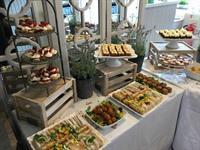 We can cater for groups of up to 50 people for afternoon tea. Alternatively, we can arrange a special lunch or buffet menu ideal for special occasions, birthdays, meetings, Christenings and funeral teas. Please contact Pam Morris on 01978 802680 to discuss.